CENTRAL TEXAS, April 13, 2016 – Spring in Texas signals bluebonnets and other wildflowers, but for wine enthusiasts across the Lone Star State, they are anxiously awaiting the new releases from the 2015 vintage and newly bottled red wines.The wineries of Texas Fine Wine have exciting new releases to share, including the first-ever “orange wine” in Texas as well as a new winery keg program for guests who want to take home a growler of Texas wine. Bending Branch Winery in Comfort will release this spring its 2015 Comfortage, Hoover Valley Vineyards, Roussanne ($28) and 2015 Riven Rock Vineyard Viognier ($34), both grown in the Texas Hill Country, as well as its 2015 High Plains Rosé ($24) from Cinsaut. The Comfortage Roussanne is fermented half in stainless steel and half in oak barrels, so it offers crisp citrus flavors and a full mouthfeel. It pairs with creamy cheeses, vinaigrette salads, quiches and a host of light recipes. The 2015 Riven Rock Viognier shows notes of apricot and a hint of vanilla creaminess, and exhibits minerality that complements seafood dishes. Bending Branch’s 2015 High Plains Rosé tastes of ripe strawberries and has a slight green olive brininess that pairs well with charcuterie and cheese, smoked pork loin, and pasta with pesto. These wines are available at the winery; Comfortage can be found at some H-E-Bs. Brennan Vineyards in Comanche announces three new 2015 Viognier releases: Classic Viognier ($17) from the estate vineyard, Reserve Viognier ($25) from the Newburg Vineyards in Comanche County, and the first-ever Cellar Select Viognier ($25). Brennan Vineyards Classic Viognier has big, bold, beautiful notes of grilled peaches, Meyer lemons, and citrus blossom. The Reserve Viognier, specific to the Newburg Vineyard, is more refined with an aromatic presence of honeysuckle, nectarines, and key lime zest rounded out with a mineral- driven finish. The Cellar Select Viognier is the state’s first “Orange Wine,” a white wine for a red wine lover. This white wine was made using red wine techniques, with intentional skin contact to produce extra color. The Cellar Select Viognier offers big, dry, intense aromas of granny smith apples and subtle hints of white flowers, with gentle tannins. Viognier pairs well with grilled salmon, soft cheese, and grilled quail and dove. Brennan also announces its 2015 Mourvèdre Dry Rosé ($20), a dynamic blend of 71 percent Mourvèdre and 29 percent Grenache. A winery favorite, this rosé offers notes of strawberry, golden raspberries and rose petals. These wines are available at the winery in Comanche and 4.0 Cellars in Fredericksburg; the Classic Viognier can also be found at Specs, Total Wine, Goody Goody and other Texas wine stores. Duchman Family Winery in Driftwood, which specializes in Italian wines, plans to add a keg program this spring, making it one of the only wineries in the state with a “wine on tap” system. Duchman Family Winery will offer its popular Vermentino, Montepulciano and Dry Rosé in 750-ml growlers, which save on packaging and promotes sustainability. It also announces several new spring releases, including the 2015 Duchman Dry Rosé of Montepulciano ($20), with notes of wild strawberry – a perfect sipping wine that also pairs well with cheeses and lighter fare. The 2015 Vermentino ($20) has classic citrus and light floral notes, and pairs well with seafood and classic pesto. Duchman is also releasing the 2012 Estate Aglianico ($46; only 52 cases produced), which is a rustic, savory wine with dark fruit and structured tannins. The Estate Aglianico pairs with braised meats, grilled game, and hearty mushroom dishes. These 2015 Vermentino will be widely available at fine wine retailers and restaurants in Texas. The Dry Rosé and Estate Aglianico will only be available in the tasting room and online. Made especially for the Old Settlers Music Festival in Driftwood (April 14-16), Duchman is also releasing limited edition Festival blends – Harmony White ($16) and Mandolin Red ($22). These wines are available at the festival and winery. Pedernales Cellars in Stonewall announces its fifth release of its Texas Albariño ($30, winery only). The 2015 release has prominent notes of candied green apple with subtle hints of banana and freshly cut grass. A buttery mouth feel balances the crisp acidity. The Texas Albariño pairs excellently with sushi. Its 2015 Texas Viognier ($16), a flagship wine for Pedernales Cellars, reflects the mild weather and long growing season. Look for aromas of peach and honeysuckle, with a touch of orange rind on the palate. The Texas Viognier pairs very well with roast chicken and pasta dishes. The 2015 vintage of its Texas Dry Rosé ($30, winery only) is a Provencal-style rose of 100 percent Grenache. It features a lovely nose of strawberries and other ripe red fruits, and is well-balanced on the palate with fresh, crisp acidity. It is a perfect sipping wine on a warm Texas day, and pairs well with salads and other light fare. The winery offers two new reds, including the 2014 Texas GSM ($26), representing the seventh year of its Rhone-style blend incorporating Syrah, Mourvèdre, and Grenache from the estate Hill Country vineyard and partner vineyards in Texas. This medium-bodied, rich red blend delivers aromas of raspberry, fennel, mushroom, and molasses, and a soft finish. Pair this wine with savory meat dishes and sautéed vegetables. Finally, the 2013 Bingham Vineyards Tempranillo Reserve ($40, winery only) showcases the elegance of Texas Tempranillo. The nose includes notes of cherry, raspberry, and truffle along with hints of licorice and sage, with a rich and complex finish. It pairs well with roast pork and BBQ. 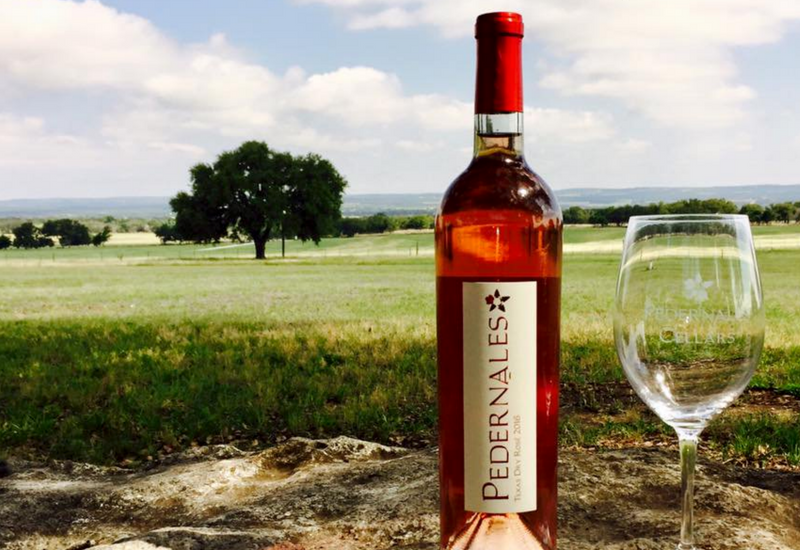 Pedernales wines are available at fine wine retailers in Texas. Spicewood Vineyards in Spicewood introduces new releases of its two signature wines: its 2015 Estate Sauvignon Blanc ($20) along with its first-ever Texas High Plains Sauvignon Blanc ($18) and Texas High Plains 2014 Tempranillo ($24). The Estate Sauvignon Blanc has aromas of citrus and papaya with notes of ripe grapefruit and a refreshing minerality, while the Texas High Plains Sauvignon Blanc, made from grapes from Martin Vineyards, expresses more gooseberry and lemongrass flavors. Both Sauvignon Blancs pair well with spring and summer vegetables, fish and grilled chicken, and are great summer sippers, too. Spicewood also offers a new Texas High Plains Tempranillo, which just won gold at the 2016 Finger Lakes International Wine Competition. Made from Bayer Family Vineyards grapes, this red has notes of blueberries and plums. This is a softer style of Tempranillo with subtle tannins and brighter fruit notes. Pair Tempranillo with grilled meats, pizza and Mexican food. These wines are available at the winery or online only. Texas Fine Wine invites wine enthusiasts to follow Texas Fine Wine on Facebook, Twitter and Instagram.